Why protect the below-grade building envelope? Below-grade waterproofing is an essential component of the entire building envelope. At times, these systems must be extremely complex, for example, at less stable sites employing deep foundations with intense hydrostatic pressure. And water is not the only threat to a structure: Methane gas or contaminated groundwater/vapor may be present on or near the site, a more common scenario due to the fact that more new construction is taking place on ground formerly used for industrial purposes. Concrete and shotcrete are inherently porous materials and can crack over time when a building has settled. This can be a result of below grade water - among other issues - which exerts pressure on a building. On sites with underlying contamination, unsafe vapors can migrate via diffusion or advective flow through imperfections below grade. This means it is essential to place a barrier between the concrete and surrounding earth, and said barrier must be robust enough to prevent both water infiltration and resistant harmful contaminants from entering the structure. Why Might A Redundant System Be Necessary? A single-component barrier relies on one line of defense against water and contaminants. Some consider this kind of system to be a one-size-fits-all solution, meaning the system is being asked to do more than its designed purpose, which is not ideal for the nuances of a building envelope below grade. Additionally, construction sites can be chaotic, and unforeseen challenges may become apparent once construction begins and/or site conditions change. This single component, therefore, can be rendered ineffective but fortunately, other, more comprehensive solutions can provide a better and more appropriate answer. 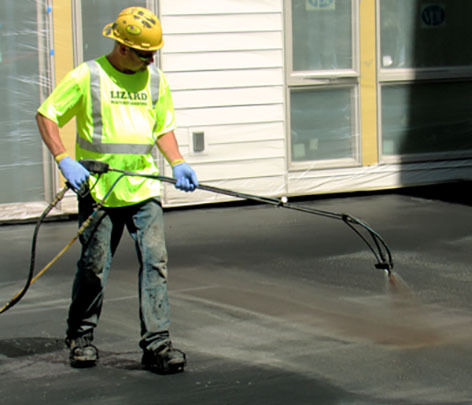 Many below grade waterproofing solutions are made in the factory, sent to the site and applied in the midst of construction. Because they are cut and laid on site, significant hand detailing can be required to execute. Left unchecked, human error can lead to weak seams and terminations, leaving the building susceptible to water or harmful vapors. A multi-component system like EPRO’s E.Series suite of products use a pioneering, proven, system methodology called redundant field-installed composite design. This method requires that systems be fabricated in the field – not in the factory – using multiple protective materials designed for a specific use. 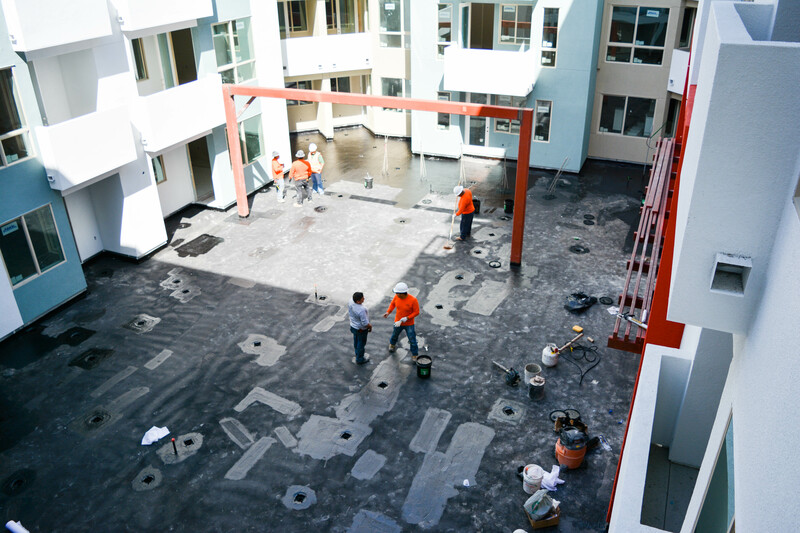 This redundancy is achieved by combining different types of waterproofing materials to leverage the positive attributes of each and to eliminate a continuous seam. Within each application category, EPRO offers a good (E.Proformance), better (E.Protect), and best (E.Protect+) system, allowing for cost-efficient system and site matching. 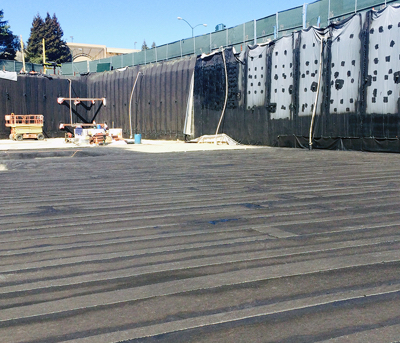 With more than one layer of protection, systems like EPRO’s have the inherent flexibility to match the product with the building needs and varying site conditions, which may differ across a single project. Each component is applied for a specific purpose, and all materials work together in one system. Robust below-grade protection is a must in this era of tight construction deadlines, less costly construction methodologies currently used to reduce schedules and the redevelopment of contaminated properties. 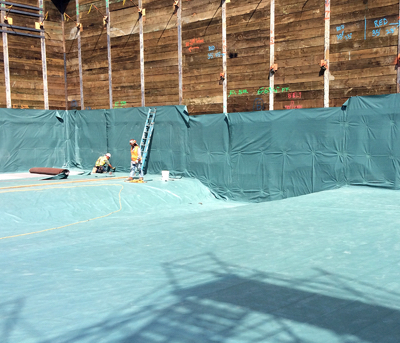 A solution like EPRO’s waterproofing and contaminant barrier systems can offer peace of mind and can mitigate risk thanks to the additional levels of protection not afforded by less comprehensive solutions: Redundancy is the way forward for building envelope protection.